A new report by consulting firm McAleese & Associates says Boeing’s (NYSE: GD) defense, space and security business posted $23.2B in 2018 sales, reflecting a 13 percent increase from the previous year. The BDS segment saw its 2018 backlog rise 30 percent to $57B driven by its “buy-in” strategy associated with the U.S. Air Force’s UH-1N replacement and T-X trainer programs and the U.S. Navy’s MQ-25 project. 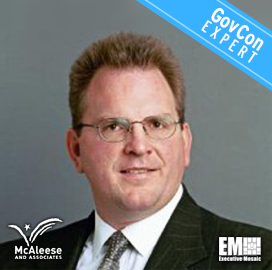 Jim McAleese, founder and principal at McAleese & Associates and a 2019 Wash100 winner, wrote in the report that the Chicago-based defense contractor recorded an 8 percent increase in 2018 revenue to $101B and a cash flow of $15.3B, up 15 percent from the 2017 figure. Boeing’s global services sector saw its 2018 sales jump 17 percent to $17B and operating profit rise 12 percent to $2.5B because of 14.8 percent operating margin. The company spent 3.2 percent of its 2018 sales on research-and-development efforts, including the BDS segment’s $788M in R&D expenses. Boeing CEO Dennis Muilenburg said Wednesday during the earnings call that the company now openly targets the 2020 downselection for the Air Force’s $63B Ground Based Strategic Deterrent program, according to the report.